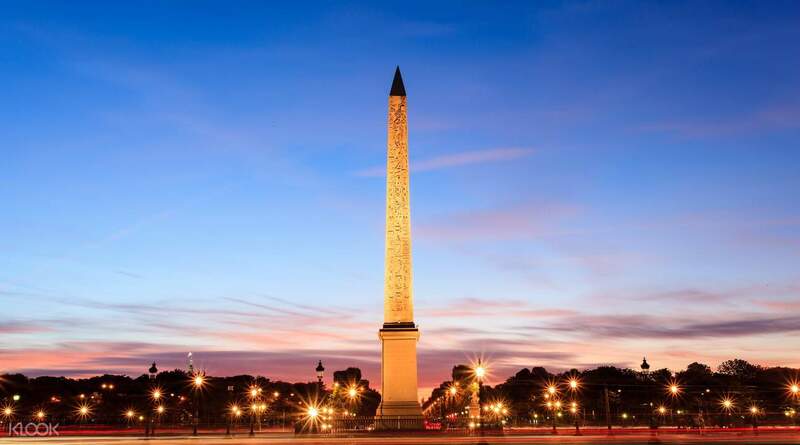 Free Walking Tour around Paris' city center covering the most famous landmarks! Feel the romance as you walk down the historic streets of Paris and admire the city's iconic sights. Have dinner at the top of the Eiffel Tower; enjoy a relaxed picnic at the Champ de Mars, feast your eyes on the majestic Notre Dame and more. 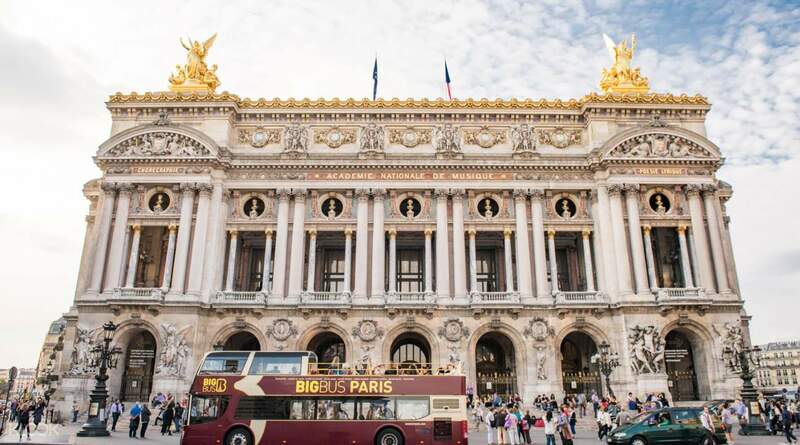 Stop for a break at one of the Parisian cafes or splurge on a shopping spree in the trendy boutiques. The unlimited Big Bus pass lets you tour the city for 1 or 2 days and explore its every corner at your own pace. So, hop on, sit back and enjoy the ride! 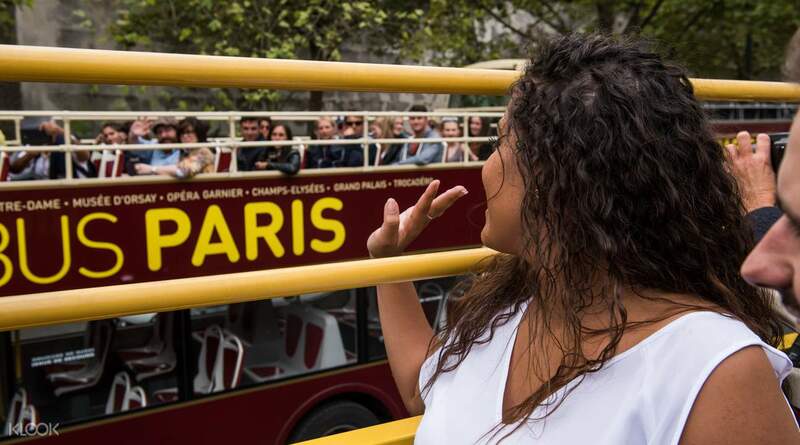 Explore at your own pace – hop on and hop off at major Parisian attractions! Really worth it. A must to have in paris. It will go to almost tourist attractions in the city and the wifi connection in the hop on hop off bus was really great. Only down side was the blue route bus speaker or headset connector was not working that day 😩 But over all experienced was AMAZING. Really worth it. A must to have in paris. It will go to almost tourist attractions in the city and the wifi connection in the hop on hop off bus was really great. Only down side was the blue route bus speaker or headset connector was not working that day 😩 But over all experienced was AMAZING. Is worth of money. Is very convenience for those first time foreign traveler because it has all tourist spots being covered by both blur & red lines. The bus schedule is punctual and easy to hop on/hop off from any big bus stops. Easy redemption for voucher as well. The big bus crews provide good service and there is audio guide your available as well. Is worth of money. Is very convenience for those first time foreign traveler because it has all tourist spots being covered by both blur & red lines. The bus schedule is punctual and easy to hop on/hop off from any big bus stops. Easy redemption for voucher as well. The big bus crews provide good service and there is audio guide your available as well. Great!!! Very convenient to travel by hop on and hop off. All bus stops are located to iconic tourist attraction. Drivers are very friendly and helpful. Staffs are around at every bus stops to provide queries to tourist. Indeed great experience booking through KLOOK. Great!!! Very convenient to travel by hop on and hop off. All bus stops are located to iconic tourist attraction. Drivers are very friendly and helpful. Staffs are around at every bus stops to provide queries to tourist. Indeed great experience booking through KLOOK. We had a great experience with Big Bus. They had the most buses which means you don't have to wait forever before the next bus comes. We also love the deal from Klook for selling the best price in the market. Thank you! We had a great experience with Big Bus. They had the most buses which means you don't have to wait forever before the next bus comes. We also love the deal from Klook for selling the best price in the market. Thank you! Perfect if you’ll only spend a few days in Paris! My family enjoyed it so much! Audio guide was certainly helpful; buses were on time, we didn’t have to wait for so long. Perfect if you’ll only spend a few days in Paris! My family enjoyed it so much! Audio guide was certainly helpful; buses were on time, we didn’t have to wait for so long. We stayed in Paris for one whole days and the hop on hop off big bus was able to accomodate us to the places we wanted to go. It saves time and value for money. We stayed in Paris for one whole days and the hop on hop off big bus was able to accomodate us to the places we wanted to go. It saves time and value for money. Booking & purchased of tickets with Klook were so easy. Had good times exploring Paris with Big Bus.. reliable and punctual. Perfect for covering tourist spots. Pics attached, snapped ehile the bus on the move. Thumbs up 👍.. Booking & purchased of tickets with Klook were so easy. 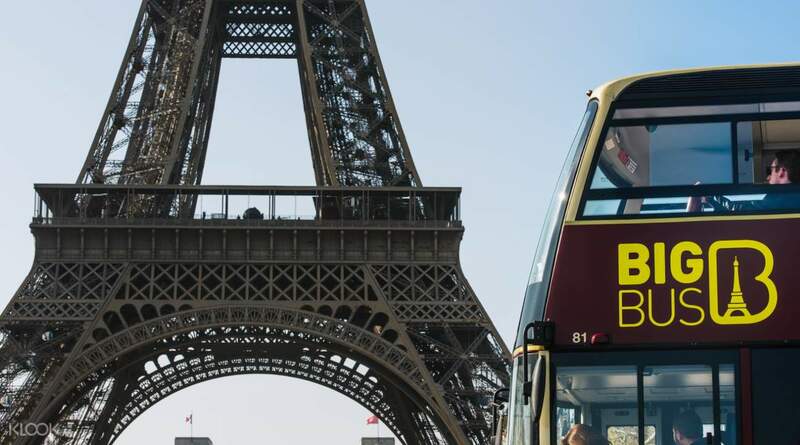 Had good times exploring Paris with Big Bus.. reliable and punctual. Perfect for covering tourist spots. Pics attached, snapped ehile the bus on the move. Thumbs up 👍..
A very good experience to see a small part pf paris. We only tries the red line so i suggest if you have more time then hop on and off the blue line also. Live guides are so funny and helpful. CS are all great also. A very good experience to see a small part pf paris. We only tries the red line so i suggest if you have more time then hop on and off the blue line also. Live guides are so funny and helpful. CS are all great also. it was a saturday and I didn't know about the Yellow Vest movement so it was difficult finding a bus stop closer to my hotel. But overall experience was good and informative. wish there were more bus for the blue route though. it was a saturday and I didn't know about the Yellow Vest movement so it was difficult finding a bus stop closer to my hotel. But overall experience was good and informative. wish there were more bus for the blue route though. Easy to redeem, just go to any Big Bus ground staff or driver. They will scan the QR Code on your voucher and they will change it to a Big bus ticket. Also provided are earphones for extra convenience while listening to Audio Guide or Live Guide. Our live guide for today was Marlene, she is funny and her accent is not that hard to understand. I recommend you get the ticket with boat cruise as well. Good experience for first timers in Paris. Easy to redeem, just go to any Big Bus ground staff or driver. They will scan the QR Code on your voucher and they will change it to a Big bus ticket. Also provided are earphones for extra convenience while listening to Audio Guide or Live Guide. Our live guide for today was Marlene, she is funny and her accent is not that hard to understand. I recommend you get the ticket with boat cruise as well. 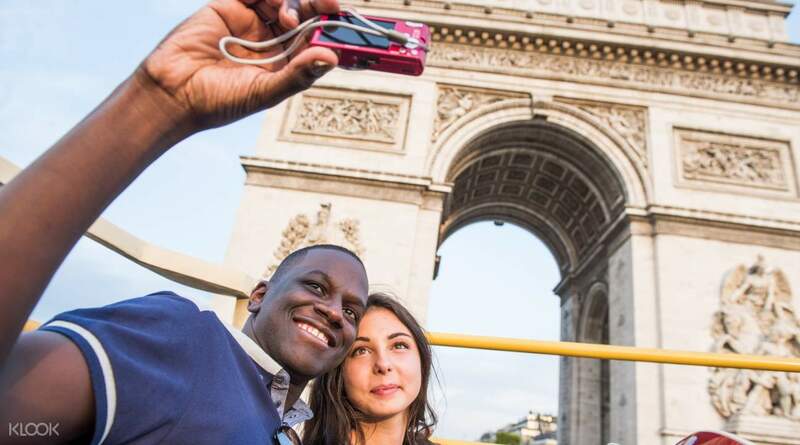 Good experience for first timers in Paris.